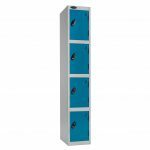 Standard Archives - Shelving & Racking Ltd.
Standard Lockers are available in a choice of 3 body colours and 7 door colours, we also offer a choice of locking mechanisms. 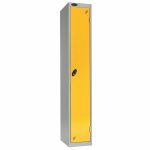 Included in the price is a standard key lock with 2 keys or a hasp and staple for use with a padlock. 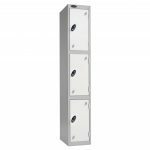 Other options including coin or token locks and combination locks are available at an additional cost. We will contact you after your purchase to confirm your preferences. 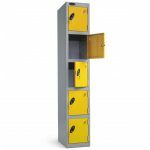 We offer FREE UK MAINLAND DELIVERY on all our lockers.